Completed in September 2006, Eden Prairie SCHEELS is unlike a typical sporting goods store or department store; it is a collection of womens, mens, youth, and specialty shops, including a sample of sport and game shops. Brand-name concept shops by Nike, adidas, Columbia, Under Armour and The North Face feature the best sport apparel products. Each shop is staffed with experts who are focused on their passions. Unlike a typical sporting goods store or department store, the Eden Prairie SCHEELS is a collection of entertainment venues, as well as women’s, men’s, youth, specialty, and sport and game shops. Brand-name concept shops by Nike, adidas, Columbia, and The North Face will keep you active in any season. Each shop is staffed with experts who are focused on their passions. This store features boutiques containing an extensive selection of technical sport apparel, fashion sportswear, casual apparel, and shoes for customers of all ages. 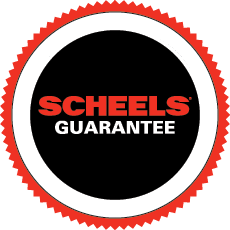 SCHEELS will help you get in the game with the best selection of athletic technical footwear and apparel for all your on the field and training needs. In December of 2007, Eden Prairie SCHEELS was awarded the STARR award for renovation/updating through the 2007 MSCA Shopping Center Tribute Award for Retail Real Estate. Entries were reviewed and judged by a group of industry specialists, professionals, and peers closely involved with retail real estate. SCHEELS was judged on its before and after story of the space, as well as the enhancement of the retail structure, including innovative design, construction approach, repositioning strategies, tenant mix, and integration into the community.